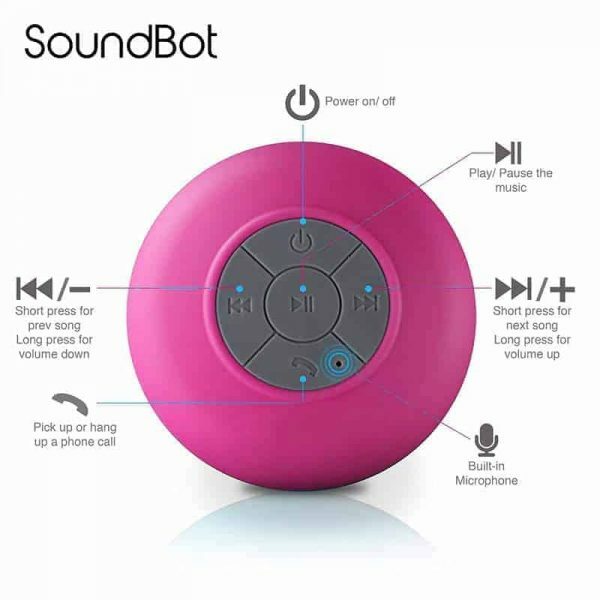 The SoundBot Shower Speaker Waterproof Bluetooth Speaker connects to most bluetooth devices, also works Great with iPhone *Siri*, Samsung S-Voice, Google Music, Pandora and More! Auto -pairing allows for easy connection to your Bluetooth-enabled device. You Can Now Listen to crystal Clear audio streaming from any Bluetooth enabled device to this Shower Speaker. 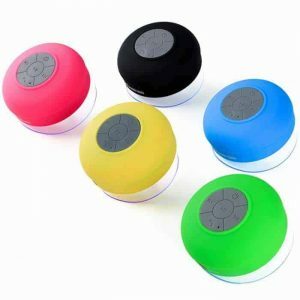 In addition to enjoying Music and streaming audio, phone calls can also be answered from speaker. SoundBot Shower Speaker Waterproof Bluetooth Speaker is designed for use in wet location but it should not be immersed in water. PERFECT for use in the shower. 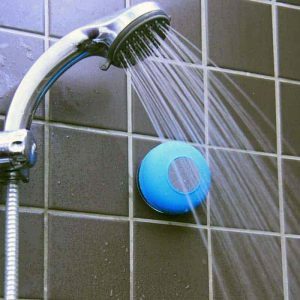 Great for kids when taking a bath, as well as OUTDOOR USE including boating, camping, hiking, kayaking, paddle-boarding and biking. 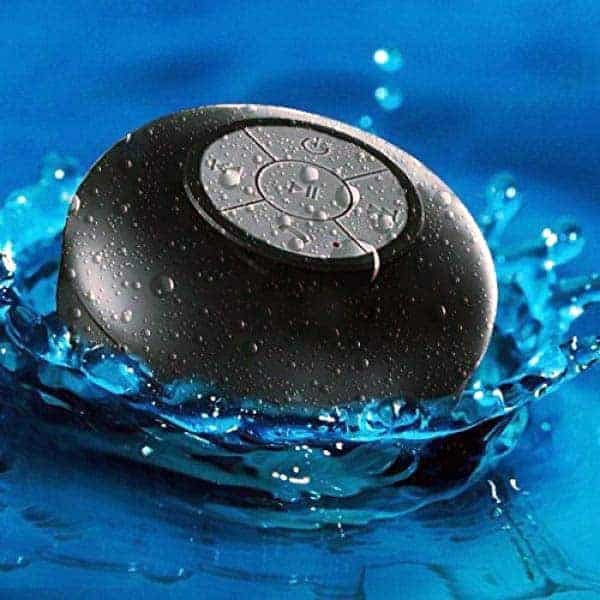 INCREDIBLE SOUND ANYWHERE: Don’t let the water stop you from enjoying your favorite music! SoundBot Shower Speaker Waterproof Bluetooth Speaker is the Perfect Companion for the beach, camping, poolside, exercising, paddle boarding, on a boat, shower or bathtub, kitchen, or just about anywhere you want your music to go. HOURS OF AMAZING SOUND: Our high quality speaker driver and Bluetooth audio wireless connectivity gives you seamless streaming, quick charging, 3-4 hours of playtime, sound so good you won’t believe it’s coming out of a speaker that is so lightweight! INCLUDING ACCESSORIES: Are you tired of hunting for that strange charging cable the other shower speaker brands give you? DON’T WORRY! We include an INDUSTRY STANDARD micro USB to DC:5V cable so you can easily charge! 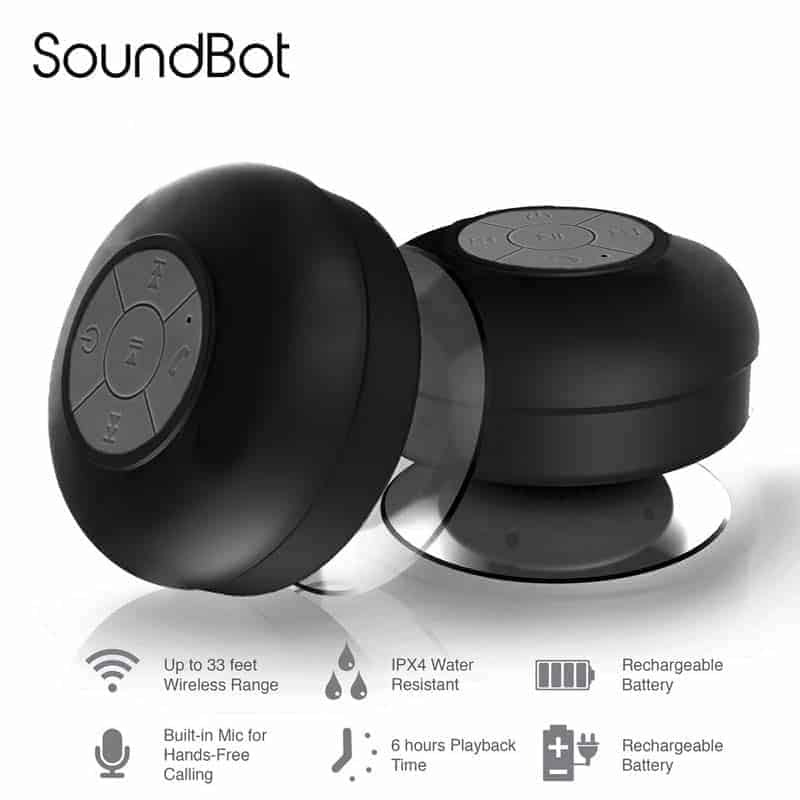 HIGHLY WATER RESISTANT: Our tough, durable, and waterproof silicone housing and charging port cover means that you don’t have to worry about splashing, bumping, or spills, making the SoundBot Shower Speaker Waterproof Bluetooth Speaker perfect for both outdoor and indoor use. It’s also highly KID-PROOF! 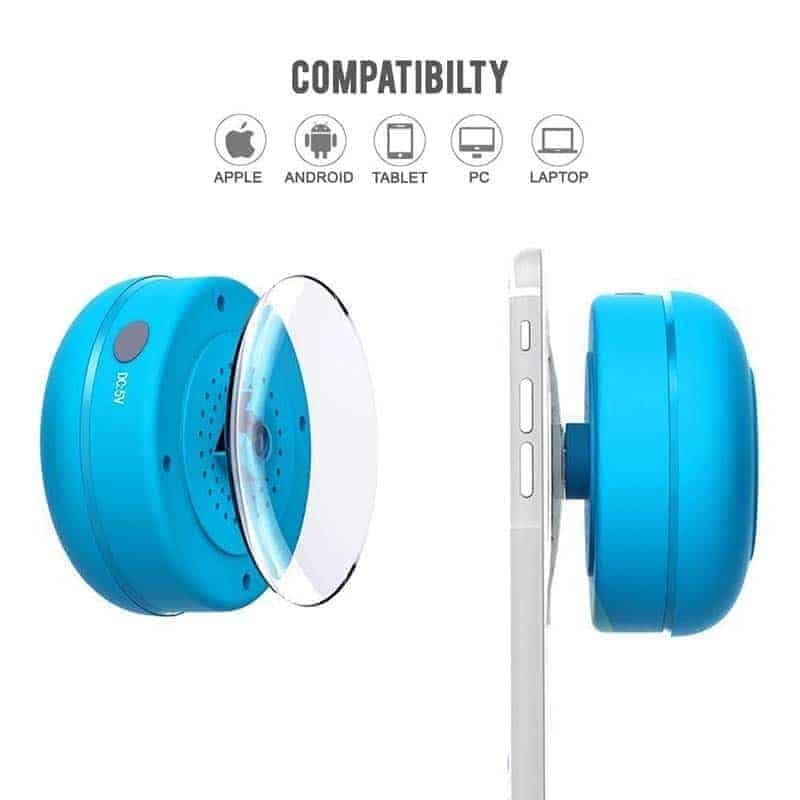 EASY TO USE: Quickly connects to and controls Bluetooth enabled digital players including: iPhone, iPad and Android tablets, smartphones, iPod Touch, iPod Nano, MP3 players, MP4 players! Excellent quality for the price. Works as described. 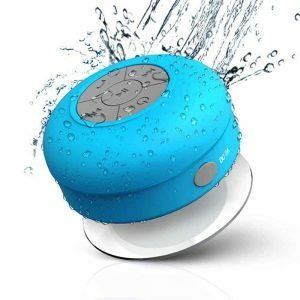 It is really completely waterproof and can also be used to pick calls and hear music in your bathroom n toiled without worries.